Confused and stumped about how to fish for trout in lakes? 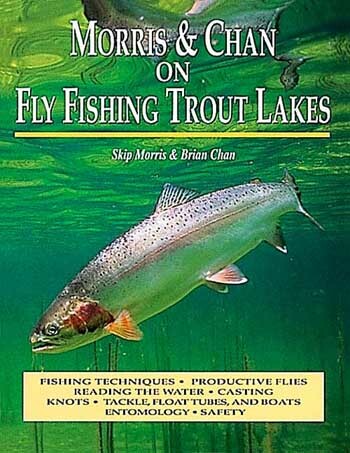 In Morris and Chan on Fly Fishing Trout Lakes, Skip wisely chose fisheries biologist and Canadian lake-fishing celebrity Brian Chan as his co-author for this thorough book on how to effectively fish trout lakes. Morris and Chan on Fly Fishing Trout Lakes includes lake-fishing techniques for both searching the depths with sinking lines and with a floating line attached to a very long leader (chironomid fishing). In addition, Skip and Brian discuss, in depth, fishing the near surface and right up on the surface for rising trout. 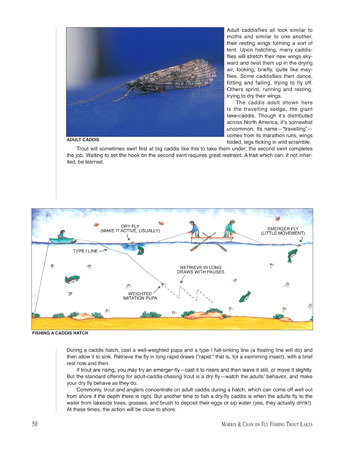 Much of this book was rewritten, and new illustrations painted, both to update the information and simply improve the entire book—the section on deep chironomid-fishing, now so popular, is clearly and concisely written and illustrated. 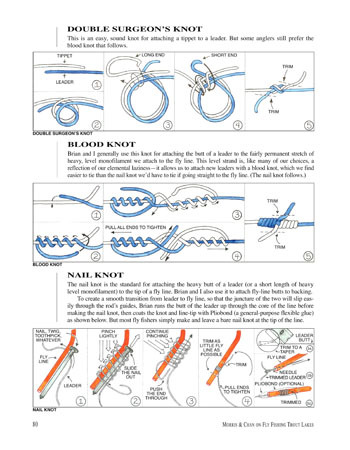 Top Right: clear illustrations and instructions teach you to tie the lake fisher's knots. 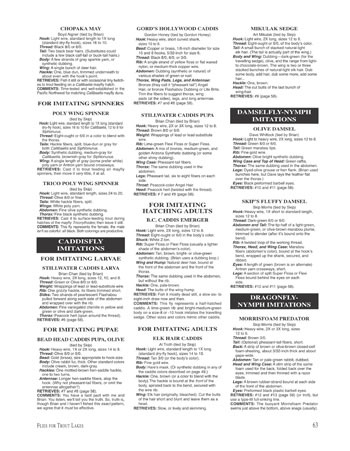 In fact, all the critical elements of lake fishing are described with this same clarity. 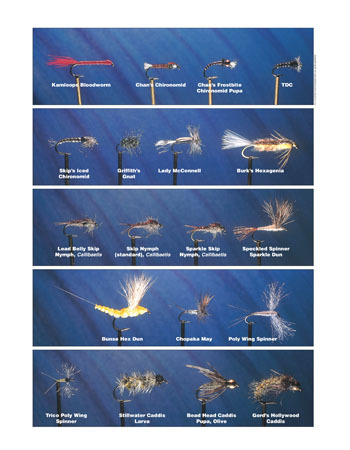 Above: photographs show excellent lake flies, while facing pages provide the patterns.